The sold-out jQuery Conference 2008, being held in Boston at the MIT Stata Center on September 28th, is nearly upon us. With 13 sessions being delivered by the jQuery team as well as prominent industry experts such as Jonathan Snook, Aza Raskin and Cody Lindley, this is sure to be a stellar event. The conference has been broken out into two tracks, Beginner and Advanced, to allow developers of various jQuery expertise to take full advantage of the sessions that will be suit their needs. Below you will find the agenda for the conference. In the interest of sharing information, we wanted to put up the agenda as soon as possible. We will be releasing another page shortly that will provide topic descriptions as well as bios for each of the speakers. JoÌˆrn Zaefferer is a member of the core jQuery team. Along his work on jQuery itself, he wrote and maintains several of the most popular jQuery plugins. JoÌˆrn Zaefferer works as a consultant for maxence integration technologies GmbH in Cologne, Germany, where he architects and develops Java-based web applications for maxence’s customers and maxenceâ€™s own products. Richard D. Worth is a Web developer in the Washington, DC area. He works for Fulcrum IT on web services contracts, primarily for the government. Richard is one of the lead developers of jQuery UI, a component framework built on top of jQuery, designed to make Rich Internet Applications as simple as jQuery has made Ajax. Richard is also a contributing author on dmxzone.com, writing regular beginner and advanced jQuery UI articles, and has been selected as a Technical Reviewer for a book on jQuery UI to be published in the fall. Paul Bakaus is a UI architect living in Germany. He’s the creator and lead of jQuery UI and works for the open source company Liferay in a full-time sponsored position to jQuery UI. He’s responsible for the overall direction and roadmap of jQuery UI and he enjoys speaking about his user interface work in many places of the world. He’s also a member of the jQuery core team and takes part in the discussion of the overall direction of the jQuery project. In the past, he was largely responsible for creating the jQuery dimensions plugin (which is now part of the jQuery core) and worked together with Stefan Petre on the rich effects and components library Interface. In addition to being the co-author of jQuery In Action, Yehuda Katz is a contributor to Ruby in Practice and co-author of the upcoming Merb in Action. He is a core contributor to DataMapper and jQuery. Before coming to Engine Yard, he worked for on a construction management tool written in Ruby on Rails and jQuery. Yehuda is a Merb core developer, contributes to Rubinius, and is taking a lead role in the development of Engine Yard’s new Control Panel. Aza Raskin is the founder of Humanized (now part of Mozilla), Songza, and Bloxes. The son of Apple software pioneer Jef Raskin, he brings a keen interest in human interface design to everything he does. Scott Jehl is a designer at Filament Group, a Boston, MA studio specializing in web application design and development. 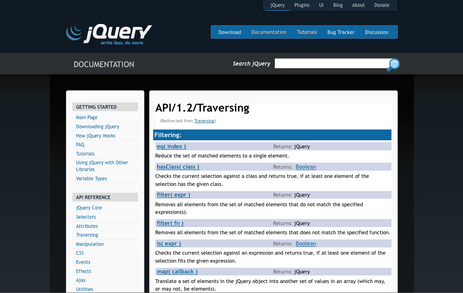 At Filament, Scott and his colleagues frequently contribute design and code to the jQuery community, and recently built ThemeRoller, a theme design application for jQuery UI. 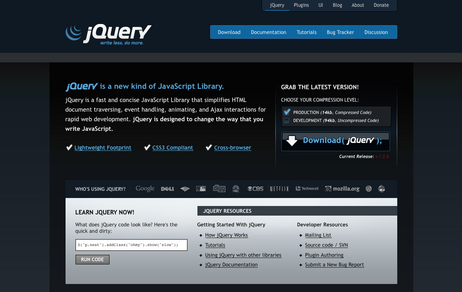 Scott leads the design team at jQuery, and runs WriteMaps, an ajax web application for building visual website sitemaps. He enjoys wake/skate/snowboarding, being outdoors, and spending time with his wife Stephanie and their two cats. Jonathan Sharp is a standards driven freelance web designer and developer. With experience in both frontend and backend technolgoies he brings value in integration delivering a seamless user experience. Jonathan has also developed a number of jQuery plugins such as jdMenu, jdNewsScroll and positionBy. Prior to freelancing, Jonathan worked for Union Pacific Railroad, CSC and Motorola, Inc. in Chicago after helping found Imprev, Inc. in Bellevue, WA in early 2000. He lives in Nebraska with his wife, Erin, and their daughter Noel. When not working he enjoys spending time with his family, playing with their dogs, and riding off into the sunset on Micah, his draft horse. Cody Lindley is a Christian, husband, son, brother, professional web developer, and outdoor enthusiast. He spends the majority of his time sleeping and working, but who doesn’t? In between the daily routines of the average American, he desires an existence that entails a relationship with God, family, and nature. He considers himself a bookworm and a novice theologian, but truth be told, he simply enjoys watching movies and playing Xbox way too much. He is thankful for the luxury of pursuing his profession as a personal passion. More details can be found about cody on his site codylindley.com. Mike Alsup is a Senior Developer at Click Commerce in Rochester, NY. He has been developing software solutions for 15 years with a current focus on Java, Swing, J2EE and web applictions. Involved with the jQuery project since near its inception in early 2006, Mike has authored many popular plugins including the Form Plugin, BlockUI, Taconite and Cycle. Full details of the individual sessions, biographies of the speakers, and additional conference information is forthcoming. Poor dude didn’t even last 24 hours. We wanted to have some fun with the home page, but this bordered on a little too “extreme” for most tastes. Naturally, the whole redesign still has many tweaks that’ll be made over the next couple weeks, especially to individual page fonts, font sizes, and colors. I want to, once again, thank Scott Jehl for all the hard work that he’s been putting in to the site design – and the excellent Varick Rosete (of nGenWorks and Happy Webbies) for the great illustration that he drew for us. 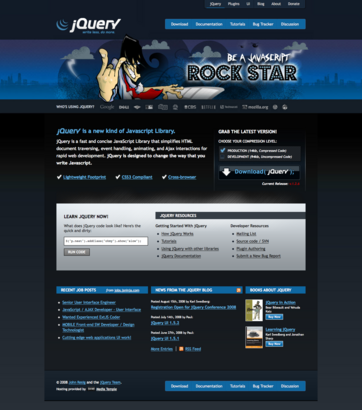 Here’s to many happy days of rockin’ out with jQuery!